With the news that Arsenal’s bench-warming combative midfielder is also potentially the globe’s best bet to ensure humanity’s survival, Mathieu Flamini became more than a wildly gesticulating footballer with a vendetta against shirt sleeves. A company he concocted along with a business partner is now the leading light in turning heel from the stifling boot of oil production and demand. 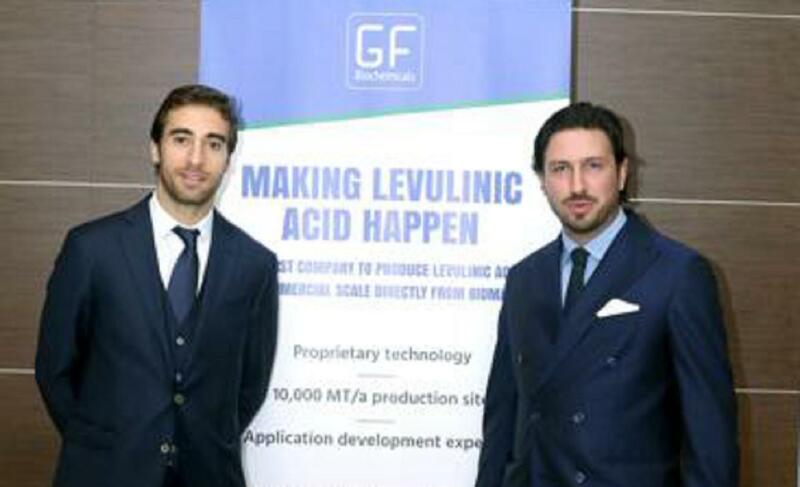 GF Biochemicals, frenziedly working behind the scenes of a professional footballers career played out in the media spotlight, has become the first to be able to claim that mass production of Levulinic acid – which is able to replace oil. Much like the Bruce Wayne / Batman dynamic, Mathieu Flamini has used his exterior persona as the ideal facade to further his fight for righteousness. If the projections are accurate, the brainchild of Flamini and his business partner could not only stand to net billions, but also revolutionise nearly every aspect of modern life. Mathieu Flamini may just have sparked the next era. Whilst this is news on a gargantuan scale, Gooners are still on the fence regarding this superhero and his effectiveness. Much maligned at the start of the season, thanks to the previous campaign’s sub-par efforts, he then was consigned to the role of forgotten man, only remembered when it was time for his five minute cameos at the end of games to simply waste time. Flamini’s flame was flickering and on the verge of going out. How can one season see a player go from vital team component to extraneous squad player? Does a string of poor performances render a player superfluous now? Do the same rules apply for Alexis Sanchez and Mesut Ozil, who both have been guilty of dire showings on the pitch? Every professional footballer has put in a display which has seen them either hauled off early by the Manager, or left fans scratching their heads at what possible malaise has left such a wonderful player putting in such a light workload. In Flamini’s case, he has lost a yard in his manic exertions. Something which has seen his role shrink in the team. Not so significantly though, that would force Arsene Wenger to replace him. Indeed, the summer transfer window in terms of Wenger’s plans were headlined by his stubborn refusal to buy ample backup for Coquelin. His lack of plans to aid the wonderful Francis were conspicuous by their absence and left a large portion of fans questioning whether Arsene’s tenure should come to an end. The arguments raged on social media and internet TV. The debate still hasn’t completely died, the embers occasionally lick at threads of conversation and threaten to derail any decorum that was in place. It is a hotbed. The majority though, whether fans care to admit it or not, would have felt that Arteta and Flamini would not provide ample backup to the whirling dervish of Coquelin. This role in particular, has slightly higher demands on the position, seeing as quite often, Coquelin is a stud away from being suspended due to his selfless approach to his team. 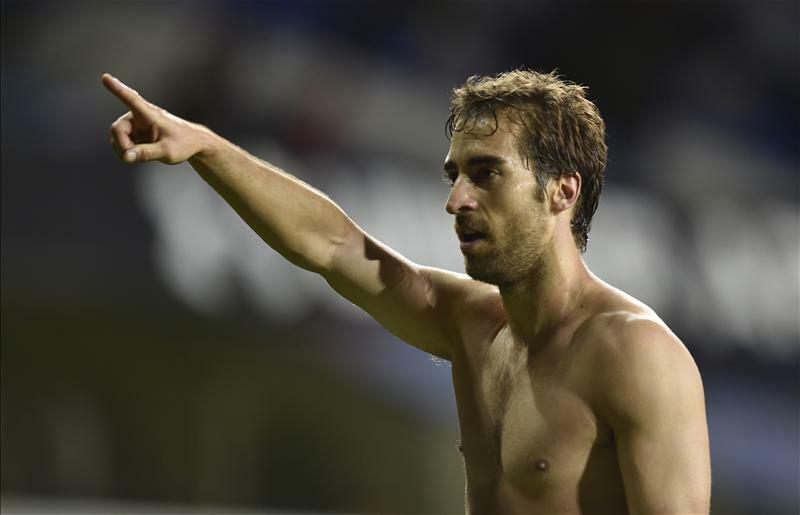 Could Flamini slot in when Wenger required? It took a hotly contested North London derby to answer that question. 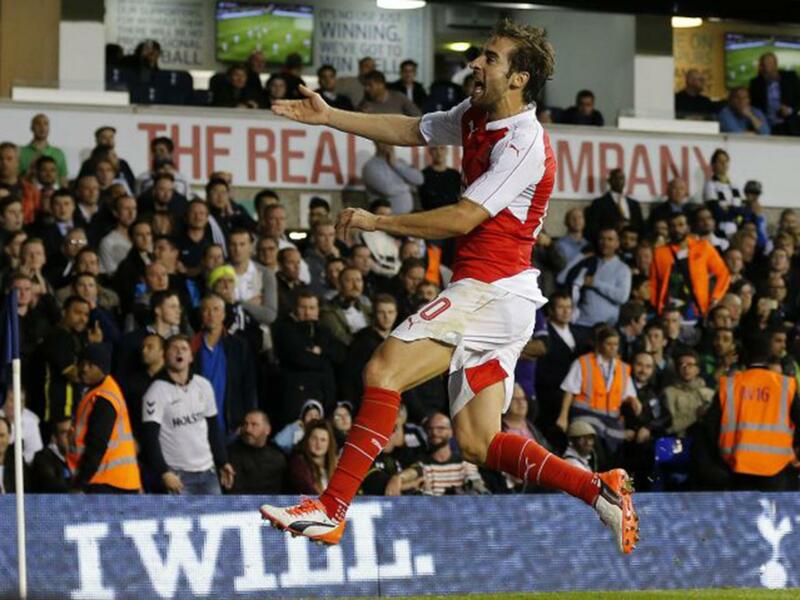 Flamini’s heroics in the 2-1 win over tottenham in the Capital One Cup was the embodiment of an emphatic riposte. It wasn’t just his goals that showed he can still have an impact. No, his all-action display was evidence that he can indeed be the Band-Aid that is placed over a Coquelin suspension wound. Could this have just been a one-off though? After all, it was just one match. His supersub role in the 1-1 Premier League draw against the same opponents produced the same reply. In fact, he was the perfect contrast to a woeful first half performance from Santi Cazorla, the man Flamini replaced at half time. Upon Mathieu’s introduction, Arsenal seemed a much tighter outfit, and the supply line to Eriksen and Kane was clamped thanks to the former Serie A players introduction. Flamini isn’t the long term answer to our midfield. He may even be sold at the end of this season. Is he good enough to provide cover for Francis Coquelin, for perhaps 10-15 games? Yes, and Arsene Wenger knew this, despite the outcry from some. He has great tactical acumen from his time in Italy, he can still exert himself upon proceedings and he seems to be a great influence in the dressing room. Whilst his age is at a number in which the thoughts of retirement may be looming, he can still be comfortable in the knowledge that he can mix it with the cream of the Premiership when it comes to stopping them in their tracks. To say Mathieu Flamini is incapable of playing to a high standard for ten to fifteen matches is an insult to the man. He gives his all in every one of his pursuits and his return to our team has benefitted us. Bruce Wayne had tough times too, but his company and Batman still sit pretty at the top of their respective markets – global business and justice-dealing. Flamini is doing the same. Let’s just hope Flamini doesn’t replace his menacing finger-pointing with Batarang-throwing. Debuchy – Out of Form, Out of Mind.